Sorry, you are not allowed to register yourself on this site! You must either be invited by one of our team members or request an invitation using the options on our contact page. Victor, Khuzani and Benji, Zimbabweans from South Yorkshire have been released from Morton Hall detention centre. Marian and the other people interviewed by the Zimbabwean Embassy official at Sheffield Home Office have not been detained since. Perhaps Sheffield Home Office got the message from the well-supported local campaign for their right to remain. There are reports of other Zimbabweans being either detained, or interrogated by Zimbabwean Embassy officials invited by the Home Office, around the country. The stress and anxiety caused by this needs to be appreciated. Perhaps for the UK government it’s an intended consequence of their desire to create a hostile environment for people like Marian and Victor. And why should people have to sacrifice their privacy and expose themselves to even more risk by speaking out against the Zimbabwean government on national media and online? The Zimbabwean government is well aware of criticism from opposition activists forced to become refugees. Zimbabwean Information Minister Nick Mangwana responded to stated fears of persecution from Marian Machekanyanga and others by making the laughable claims that “there are no political persecutions in Zimbabwe” and “there is no single returnee that has been persecuted regardless of the circumstances of their departure”. In February 2018 the UK Ambassador to Zimbabwe Catriona Laing and Zimbabwean Deputy President Kembo Mohadi agreed to cooperate in the deportation of 2500 Zimbabweans living in the UK. There has been much speculation on the details of this deal between the UK government and the Zimbabwean military dictatorship. In return for accepting 2500 Zimbabwean refugees perhaps Zimbabwe would receive financial aid, favourable trade deals (important for the UK post-Brexit) or diplomatic support in rejoining the Commonwealth? The Chair of the All Party Parliamentary Group on Zimbabwe tellingly described the UK government’s “ill-advised cosying-up to the Zimbabwean leadership, which owed its position, power and loyalty to the military and political machine that manoeuvred to install it and not to the people of Zimbabwe through a free and fair electoral process. I will not go into more detail; the Minister knows what I am talking about”. Brian Donnelly, ex-UK Ambassador to Zimbabwe was more explicit, describing a “disgraceful conspiracy by the Home Office and Foreign and Commonwealth Office to return Zimbabweans against their will”. So the campaign against detentions and threatened deportations to Zimbabwe – at it’s most dangerous for opposition supporters for years – continues. We’ve had widespread national and local media coverage, including this excellent Channel 4 report on the Sheffield February 19th protest in support of Marian. There has been parliamentary pressure, for example here from Sheffield Central MP Paul Blomfield. We’ve seen an impressive mobilisation of campaigners, refugee organisations, political parties and countless individuals illustrated by a petition for Victor Mujakachi which gained 75,000 signatures in a week. Inspired by the bravery of Zimbabwean asylum seekers and by what we’ve already achieved the campaign against deportations to Zimbabwe continues. While well-known and much-loved activists like Victor and Marian have received huge publicity and support we will campaign against all deportations to Zimbabwe. As Marian put it “this shouldn’t be happening to anyone, not just me”. This latest move follows asylum seekers being questioned by a Zimbabwean Embassy official invited by the Home Office to interrogate them in December. A number of other Zimbabwean asylum seekers are being asked to attend Vulcan House over the next week and we are concerned that they maybe detained. Naturally, they are afraid that this could result in deportation to Zimbabwe, the country they were forced to leave because of persecution. That’s why Zimbabwean asylum seekers have called for a protest to support them when they go to Vulcan House. The Home Office and government seem ready to deport political opponents of the Zimbabwean government at the height of violence against those who criticise ZANU (PF). SYMAAG member Marian Machekanyanga described the Zimbabwean army going house to house to identify, beat, detain, sometimes kill opposition activists and others critical of the government, of children shot in the street, internet access shut down and phone calls monitored. The new Zimbabwean government of Emerson Mnangagwa seems every bit as repressive as Robert Mugabe’s. 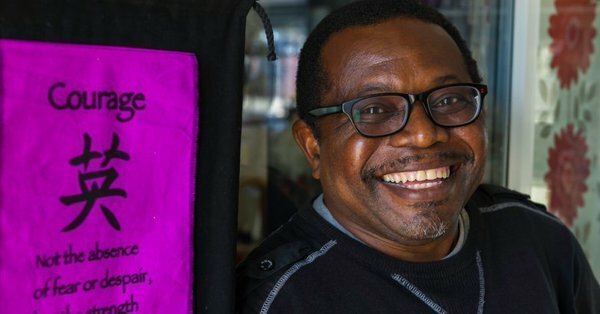 Some of the Zimbabwean people in Sheffield threatened with deportation are well-known and well-liked community activists like Victor Mujakachi and Marian Machekanyanga. 5000 people signed a petition to release him from Morton Hall immigration detention centre in 24 hours. Other people are not so well-connected but all need our support. There should be no deportations to Zimbabwe. Our asylum system should give protection to those who need it, not hand them over to their tormentors. The new 10 year £4 billion Asylum Accommodation and Support Contract has been given to Serco, Clearsprings and the Mears Group. We will be working alongside asylum tenants to ensure they are treated with dignity and respect and provided with decent housing. We will publish a detailed response to the announcement of the new contract soon. December 18th, International Migrants Day, was a day of action in support of the Stansted 15 who were convicted of terror-related offences for stopping a deportation charter flight taking off. In doing so they saved lives. We believe the government and Home Office are trying to terrorise those showing solidarity with people seeking asylum. 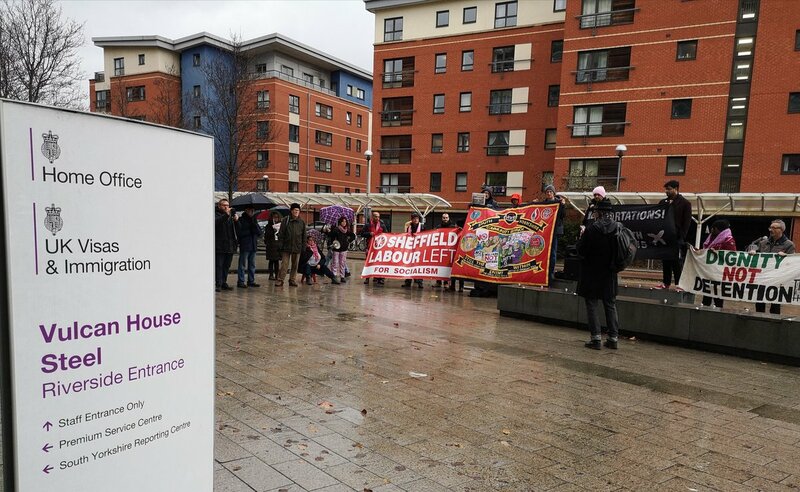 So SYMAAG and many others protested outside Vulcan House Home Office in Sheffield, as part of a day of action in support of the Stansted 15 involving 20 towns and cities in the UK. The Stansted 15 have been convicted for preventing a charter deportation flight through peaceful direct action. Today’s ruling is a bitter blow for the defendants, their friends and families. It is also a blow against all those who seek to stand for justice. We wish to first and foremost express our solidarity with them as they deal with this news today. We know that the steps they took – which caused neither injury or ill-will to anyone – was done only in order prevent a great crime. That crime was one that would have serious impact on the 60 people bound for deportation on a ‘charter flight’. Charter flight removals and deportations are one of the most worrying aspects of the UK’s asylum and immigration process. Shielded from public oversight and information protected from freedom of information requests, these ‘ghost flights’ forcibly remove people en masse from the UK. As is common with charter flights, many who were on the grounded flight were still fighting their cases. Everybody seeking the right to remain in the UK faces significant obstacles to establishing their legal rights. Those subject to charter flight removal and deportation have even less access to justice. The Stansted 15’s actions meant that people were able to continue to fight to remain in the UK with their families, communities, in the places they have made their lives. Not only that, it shone a bright light on charter flights and the wider deportation regime. To Helen, Lyndsay, Nathan, Laura, Melanie E, Joseph, Benjamin, Jyotsna, Nicholas, Melanie S, Alistair, Edward, Emma, May, and Ruth, we say: stay strong, we are with you. The Stansted 15 will be appealing the verdict. Please donate today to help them with trial related costs. Donate here. Right now, right here in the UK, people seeking refugee status are banned from working whilst they wait months, and often years, for a decision on their asylum claim. Instead, they are left to live on just £5.39 per day, struggling to support themselves and their families, whilst the Government wastes the talents of thousands of people. We think that’s wrong. We believe that people who have risked everything to find safety should have the best chance of contributing to our society and integrating into our communities. This means giving people seeking asylum the right to work so that they can use their skills and live in dignity. The Lift the Ban coalition is working to change this. Together, we believe we can #LiftTheBan and ensure that people seeking safety in the UK have the right to work. It’s ironic that people detained in immigration removal centres can work for as little as £1 per day for the global corporations like G4S, Serco GEO and Mitie who run them but are banned from work when they are released. SYMAAG is proud to be part of the Lift the Ban Coalition which is calling for the right to work for people seeking asylum, and their adult dependants, after six months of having lodged an asylum claim or further submission, unconstrained by the Shortage Occupation List. According to New Zimbabwe.com, British ambassador to Zimbabwe, Catriona Laing, in February 2018 told Zimbabwean Deputy President Kembo Mohadi that her government intended to deport 2,500 “illegal Zimbabweans” in that country. The announcement came as Theresa May said that her government was “determined to reduce the number of immigrants coming into the country by thousands”. Very few people have been deported to Zimbabwe over the past ten years. There are now reports of Zimbabwe Embassy staff going to detention centres to interview any Zimbabwe nationals there to give them travel documents so that they can be forcibly deported. Some people have already been deported to a Zimbabwe where the same regime is in power even though Mugabe has gone. Their lives are in danger. As Marian Machekanyanga, an exiled trade unionist from Zimbabwe and SYMAAG Executive Committee member, explained to us “nothing has changed for Zimbabwean people here or at home. Mnangagwa is still ZANU-PF…there are no changes and no democracy”. by fighting for the right to remain in the UK. opposition politician and has faced harassment since. 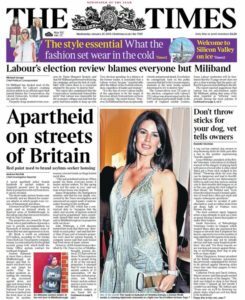 2500 Zimbabweans who were “living illegally in the UK”. her asylum claim and initial appeal. This was the first national meeting of asylum tenants. At the same time as a new £4 billion 10 year government contract for asylum housing and related services is being tendered and due to start in 2019. The current contract, called COMPASS, has operated from 2012, run by G4S, Serco and Clearsprings. 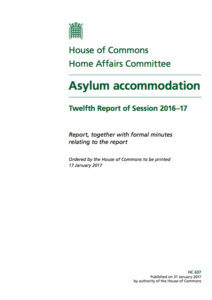 Since then four separate Parliamentary inquiries have confirmed what asylum tenants have been saying since: that asylum housing during the COMPASS contract has been “unacceptably poor” and “substandard”. The Home Affairs Select Committee report in January 2017 described asylum housing provision as “a disgrace” and called for a complete overhaul of the contract. 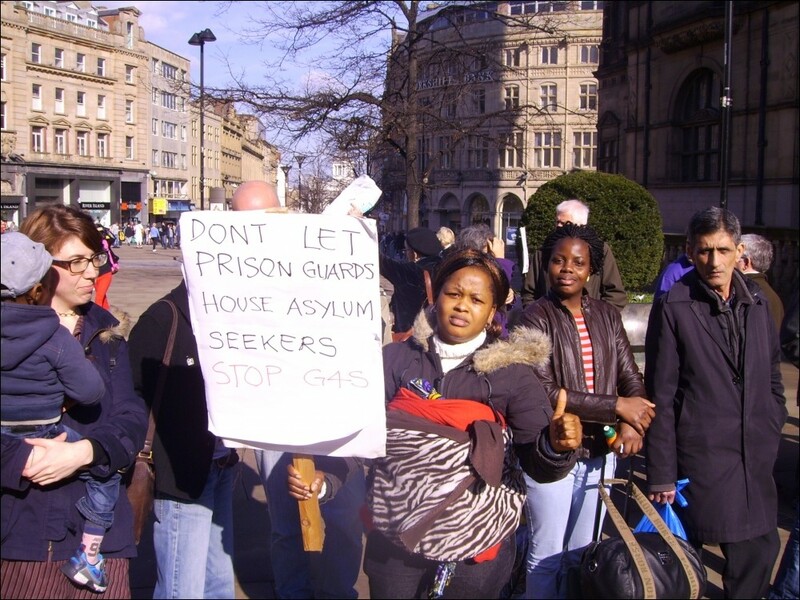 The government rejected the findings and recommendations wholesale and claimed that the “the standard of accommodation provided to asylum seekers has improved since 2012.” We know that G4S are one of the bidders for the new Asylum Accommodation and Support Services Contracts and it’s likely the others will be major outsourcing corporations. That’s why 64 of us came together in Sheffield on February 24th. We want global serial human rights abusers G4S and Serco to be barred from bidding for the new contract to provide asylum housing. So, asylum tenants, migrant rights campaigners, journalists and academics from Yorkshire, the North East, the Midlands, Manchester, Derbyshire, London and Northern Ireland met in Sheffield’s new refugee centre The Sanctuary. We were welcomed by Manuchehr, co-chair of the South Yorkshire Migration and Asylum Action Group (SYMAAG), who called for support to the women hunger strikers at Yarls Wood who are also up against Serco, G4S and the Home Office. that this Government’s declared aim is to create a “hostile environment” for undocumented migrants. First up was Kate Smith from Huddersfield University and Huddersfield Women’s Centre. Kate spoke about the lack of safety, security and privacy for women and children in privatised asylum housing in Kirklees. “It’s a really harmful house. We are living with rats that are dying, dead. Dying in the house” Shahnaz had told her. 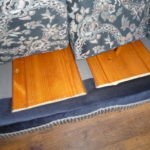 “I wanted (stair) gates for the baby, waited for 9 months” said Jane. Doors without locks, no hot water for women and young children and the all too familiar “I complained to G4S but they didn’t do anything”. She pointed to the existence of overcrowded and dangerous “mother and baby hostels” and the effect of such conditions on children’s early development. Kate suggested that embedding children’s rights into the running of asylum accommodation was necessary to achieve accountability. Makhosi Sigabade and Philani Dube from the Belfast Housing 4 All campaign explained how “you cannot hold anyone accountable” in Northern Ireland’s asylum housing system. 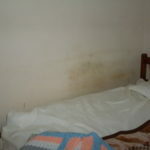 Serco and the Northern Ireland Executive (the devolved government of Northern Ireland) are joint landlords, routinely passing the buck for vital repairs between each other. “Serco don’t provide what they say they do” but “If I make a noise will it prejudice my case?” Philani explained echoing a common fear amongst many asylum tenants all over the UK. And an understandable fear – G4S displayed notices in tenants’ houses threatening to report them to the Home Office if they complained. Jalloh Ibrahima from Newcastle’s Migration and Asylum Justice Forum (MAJF) emphasised Philani’s point about the difficulty in speaking out “If you can’t speak good English how can you put the problem forward?” Asylum housing in the North East is run by Jomast ex-G4S subcontractor, infamous for painting asylum seekers’ doors red in an area with high levels of racist attacks. Jalloh described how MAJF had pressured Newcastle City Council into opposing overcrowding and the practice of forcing asylum tenants to share bedrooms but that Jomast had refused to implement the Council’s decision and had appealed against it. Overcrowding is endemic in privatised asylum housing since contractors are paid per tenant. “Private companies are always trying to make money out us,” he said. Jalloh was inspired by the success we’ve had in Yorkshire in stopping forced room sharing and invited us all to join MAJF’s protests against Jomast’s policy in the North East in March. Clare Sambrook gave us an illustrated guide to G4S’ grisly history. Clare is the founder of Shine A Light and dedicated to exposing G4S’ record as a serial abuser of human rights and at the same time a “strategic supplier” to the government. A legal challenge to force the government to designate G4S as a “high risk” supplier has been launched by Bail For Immigration Detainees. Not only did G4S have no experience in housing when they bagged a £620 million share of the COMPASS asylum housing contract in 2012, they were being investigated for the death of Jimmy Mubenga. He died in 2010 while being forcibly restrained by G4S guards on a deportation flight to Angola, telling them “I can’t breathe”. Clare described G4S apparent impunity. Dave Beadnall, a G4S security guard, fatally restrained a 15 year old child in a children’s prison and was then promoted to Health and Safety Manager. She noted the irony of G4S running an employee vetting company. John – co-chair of SYMAAG – explained how he was inspired by a Zimbabwean asylum seeker who told him in 2012 “I don’t want a prison guard as my landlord”. “I don’t just want improvements to asylum housing I want G4S off the contract” he said. He stressed that it was the contracting out of services like the provision of asylum housing, not just G4S, that was the problem. Given the close relationship between government and corporations (here for example) unaccountability and an apparent rotation of corporate contracts was inherent. He echoed Jalloh Ibrahima’s sentiment about the conference saying “we’ve been working at this for 5 years but we’re learning a lot from asylum tenants today”. Like most events of this type, the breaks are as important as the speeches and presentations. I could hear animated conversations in many languages between asylum tenants meeting each other or the first time, comparing experiences, sharing ideas. Some of us were interviewed by local TV and radio, some tried on and bought jewellery made and donated by Gogo Manyoni of Hope and Dignity Hearth, others tucked into their dinner. Nobody touched the tomato juice, which I’d bought by mistake, though. We resumed with a poem about G4S by Jo Thorpe from Nottingham including the line “They’re hard to crack, like a cockroach in a baby’s bottle” (remember this?) We heard from asylum rights advocate Debbie Rea from Leicester about campaigning in the East Midlands (another region with G4S-run asylum housing) and the city’s history of multi-ethnicity and familiarity with new arrivals from around the world. We called the event an Action Conference, aiming to end the day with a plan on how we can work together for decent asylum housing. So we split into 3 groups to look in detail at how to best use media; about legal challenges to the contracts and how to mobilise our allies. Apart from sharing contacts of sympathetic journalists and linking on-line campaigning, the media group looked at ways to publicise the toxic brands of G4S, Serco, Clearsprings, Jomast etc. In the North East, the Migration and Asylum Justice Group has demonstrated where Jomast had other business interests telling people about their role in asylum housing. The legal group looked at gathering evidence to compare the requirements of existing asylum housing contracts with the reality, without which accountability isn’t possible. We also looked at how to support the legal challenge to G4S launched by Bail for Immigration Detainees (here’s one way). We noted the success of local campaigns on housing standards when supported by the threat of legal action. In the discussion about working with our allies people pointed out the high-profile failures of companies like G4S, Serco and now Carillion to provide the public services they are paid by us all to do. This means we have more potential allies in political parties, trade unions and local authorities. We can also find allies amongst other groups campaigning against the abuses of G4S etc, for example the Palestine Solidarity Campaign. All the groups noted the importance of illustrating the big political issue of how people seeking asylum are treated with personal stories, because the dehumanisation of people is key to the government’s ‘hostile environment’ approach. The day was best summed up by Marie from Huddersfield: “whoever gets the contract we need humanity and accountability”. Today’s event and the formation of a national network bring us closer to that goal. SYMAAG invites you to an action day conference on human rights and asylum housing in Sheffield on Saturday 24th February, 11am – 4pm at The Sanctuary, 37-39 Chapel Walk, Sheffield S1 2PD. Tenders are already in from the corporations and companies set to exploit the latest (and biggest) contract to be offered in the UK and European asylum markets, housing refugees waiting for the outcomes of asylum claims. G4S has already confirmed its interest. Asylum housing throughout the UK was outsourced in 2012 by the Home Office with a five year £1.7bn contract given to three international security companies G4S, Serco and the smaller Reliance company. The contracts have been problematic for most asylum tenants (with four critical parliamentary inquiries), and disastrous for many individuals and families. The 1999 Asylum and Immigration Act stripped asylum tenants of all the rights established in law for council and private tenants. Since 2012 there have been many examples where the legal and human rights of refugee children and disabled refugees have been threatened by conditions in, and management, of asylum accommodation. Two of the present contractors Serco and G4S have been criticised and sanctioned for their record on human rights in managing contracts in detention centres, and children’s prisons in the UK, and in prisons and detention centres in South Africa, Palestine, and Australia. Is this record relevant to the award of new contracts for the care of refugees with £4 billion of taxpayers money? With the collapse of Carillion and Capita on the edge, can huge private companies ever be relied on to provide public services? Come along on 24 February, have your say and decide what actions we can take. The event will be held at The Sanctuary, Chapel Walk, Sheffield city centre (opposite Crucible Theatre) S1 2PD. Speakers will include asylum tenants, journalists, housing researchers and academics, and YOU in small group discussions producing plans for action. On 18 November the new AASC (Asylum Accommodation and Support Services Contracts) for asylum housing across the UK from September 2019 to September 2029 were opened for tender.The cost to the British tax payer is a staggering £4 billion. Bidders for the contracts were given TWENTY NINE DAYS to the 17 December to register an interest.There were seven contract areas offered (Northern Ireland is the smallest at £50 million, the North West and the South of England the largest with £900 million all over ten years) making it likely that bidders would be limited to corporations and large housing companies operating in asylum markets across the EU: like the present holders of the UK COMPASS contracts:G4S, Serco, and Clearsprings. Since the present contractors came on board in June 2012, there have been four significant inquiries, featuring asylum housing in Parliament, the Children’s’ Society Parliamentary panel in 2013, a Home Affairs Committee inquiry in 2013, a Public Accounts Committee inquiry in 2014 and the current Home Affairs Committee inquiry. In 2016 G4S was fined £5.6m for the standard of the housing it provided in 2013/14. Despite all that, regardless of persistently negative media coverage and asylum tenants’ tenacious resistance and solidarity campaigning, still, G4S, Serco and Clearel hold the contract. They were given an extension (and more money) in December 2016 which will take them through to September 2019. 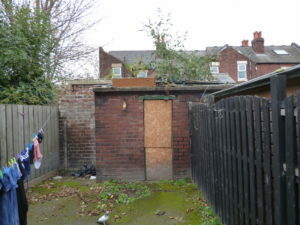 As the tendering process for £4 billion worth of contracts over ten years gets under way, asylum campaigner John Grayson examines the market for asylum seekers’ housing in the UK. G4S dumps toddler with rare cancer in dirty asylum house with rats in the yard. Can G4S be trusted to be given part of the new £4 billion ten-year contracts for asylum housing across the UK from 2019? Daisy is two and a half years old and has suffered from a rare skin and lung cancer since she was born in Sheffield. She was improving after chemo, then her family claimed asylum and sought accommodation. The family of six, from North Africa, were dumped in a house near the motorway on the outskirts of Sheffield on 25 October. When ASSIST volunteer worker, Catherine, told me about the house I immediately recognised it as the house I had visited in September 2016. I went out into the yard which I remembered from last September – the family had sent me a video clip showing a rat running across it. 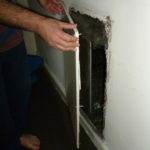 I have worked alongside refugees, and their families, in G4S asylum housing, over five years, but even I really could not believe that G4S could have put Daisy and her family in that house, knowing the state of the property … and about the rats. But the evidence was clear; the ‘visitation log’ showed two ‘inspections’, on 23 October and on the morning of 25 October before the family were moved in. There was ‘cleaning’ on 24 October by Globe, the G4S cleaning contractor, and some ‘repairs’. For the next few days, a coalition comprising the Red Cross, SYMAAG, Sheffield Council, and staff of the local MP Clive Betts, supported the family and bombarded the Home Office and G4S with demands to get the family moved. 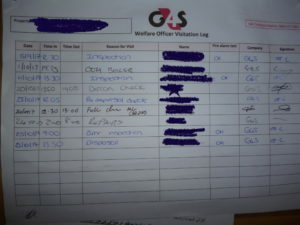 The family received a letter from G4S on 6 November saying they would be moved on Wednesday 8 November, – but no apology. Earlier this year the Home Office set up its Asylum Accommodation and Support Transformation (AAST)procurement team. On 26 August a preliminary notice of contracts beyond 2019 was announced which suggested contracts would be offered worth £600 million per annum, and that ‘the duration of the AASC contract will be confirmed in due course.’ On 18 November contracts for asylum housing across the UK from September 2019 to September 2029 were formally opened for tender. The outsourced contracts are worth a staggering £4 billion of British taxpayers’ money. Bidders for the contracts were given just twenty-nine days, to 17 December, to register an interest. It seems highly likely, even though there are seven contract areas offered (Northern Ireland is the smallest at £50 million, the North West and the South of England the largest with £900 million, all over ten years), that the likely bidders will be limited to corporations and large housing companies operating in asylum markets across the EU, like the present holders of the UK COMPASS contracts: G4S, Serco and Clearsprings. 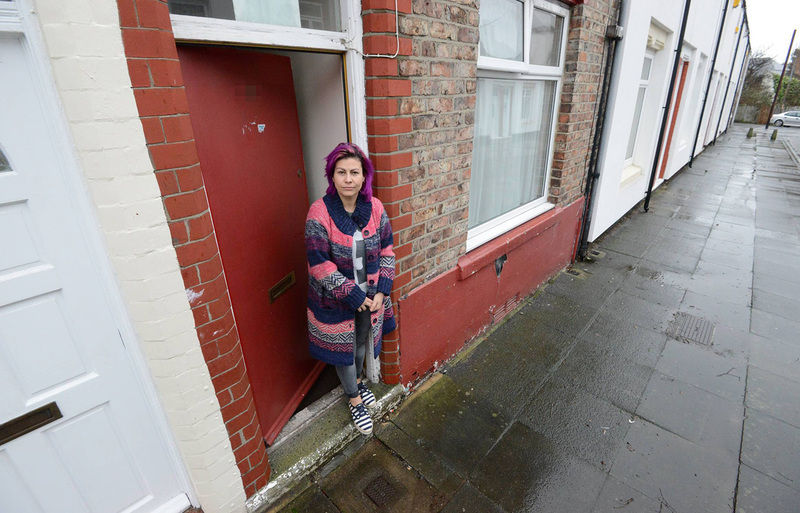 Hundreds of asylum housing tenants have spoken to me and other campaigners about conditions in asylum housing in my pieces for Shine a Light on OpenDemocracy.net and for the IRR’s News Service. G4S tenants and former tenants in Sheffield worked with film makers Brass Moustache to produce The Asylum Market to highlight alleged intimidation of tenants. G4S stepped in and prevented the BBC’s Victoria Derbyshire Show showing clips of the film on the day the 2017 Home Affairs Committee report was published. In 2013 the Refugee Council and the Maternity Alliance issued their report, When Maternity Doesn’t Matter: dispersing pregnant women seeking asylum, based on interviews with twenty women many in COMPASS contract housing. In Northern Ireland in November 2016, Northern Ireland Community of Refugees and Asylum Seekers (NICRAS) published a critical report, Home Sweet Home? on the Serco asylum housing contract. In 2016, G4S was fined £5.6 million for the standard of the asylum housing it provided in 2013/14. G4S paid no UK corporation tax in 2012. On 8 December 2016, the government quietly issued a written ministerial statement confirming that the Home Office had extended the existing COMPASS contracts, and that it was going to pay more — though not how much. ‘I have increased the amount of money that the Home Office pays for the provision of welfare officers and staff property management,’ wrote immigration minister Robert Goodwill. As for the five years’ torrent of criticism and compelling evidence of rats, cockroaches and bed bugs. Goodwill brushed them all aside with the comment: ‘There has been considerable interest in the accommodation and support that is provided to asylum seekers,’ adding that he had ‘listened carefully’ to concerns. A global auction for the AASC contracts? In 2012, in the lead up to the allocation of the COMPASS contracts, there was a competitive online auction, revealed in a High Court judgment here, when Jomast Developments took G4S to court. Regional consortia of local councils were faced with exclusion from the auction because they could not offer to deliver a contract across the UK, and their preliminary bids were too high for the final auction. This time around there will be seven separate regional contracts over ten years but it is highly unlikely public housing bodies will be interested. The possible exception is in Northern Ireland, where the Northern Ireland Housing Executive currently provides COMPASS asylum housing as a subcontractor from Serco. In 2009, John (now Lord) Reid, a former Labour home secretary and defence secretary, while still a serving as an MP, took a £50,000-a-year consultancy role at G4S. G4S board members have included Lord Condon, former Commissioner of the Metropolitan Police and Adam Crozier, head of Independent Television (ITV). Current G4S chairman, John Connolly, who was once Britain’s highest paid accountant, and global chairman at Deloitte — also chairs the board at the Great Ormond Street Hospital charity, and was an advisor to Boris Johnson when he was the Mayor of London,. In any procurement process perhaps the Home Office ought also to consider the fact that both G4S and Serco were caught out ‘overbilling’ the taxpayer under contracts for monitoring offenders — the tagging scandal. Both had charged the Ministry of Justice for applying electronic tags to ex-offenders who were not tagged. Some were in prison. Others were dead. Serco agreed to pay £68.5 million back. G4S offered to pay back £24.1 million but this was rejected by the Ministry of Justice and G4S eventually agreed on nearly £110 million. The Serious Fraud Office has had both companies under criminal investigation since November 2013.
International asylum markets, since 2012, have become more crowded and a company like the Swiss-based ORS Service company, with asylum camps and accommodation in Switzerland, Austria and Germany, bought in 2013 by Equistone Partners Europe Ltd, an asset management offshoot of Barclay’s bank, would be perfectly capable of bidding for the UK contracts. In the US the Trump administration has reversed the policy of Obama who slowed down the privatisation of prisons, detention centres and military spending, and market predictions suggest that G4S is set to benefit from Trump’s spending plans. Also in the US the GEO Group, which operates dozens of private prisons and detention centres, is now getting new detention centre contracts. In April 2017, GEO won a $110 million contract to build a 1,000-bed immigration jail in Texas. The Geo Group UK Ltd has also developed asylum markets in the UK with detention centre contracts at Harmondsworth, and Dungavel in Scotland. The group also has a tie-up with UK company Amey, owned by Spanish corporation Ferrovial. Ferrovial also bought UK company Enterprise in 2013, a company with a history of outsourcing and social housing partnership contracts with over sixty local authorities, and integrated it into Amey. Amey currently operates a twenty-five year ‘Streets Ahead’ highways contract in Sheffield. The GEOAmey partnership company has UK government contracts for prisoner and youth offender transport and court cell suites, transporting 10,500 prisoners a year with 2,500 staff and 400 vehicles. It is perhaps not impossible that GEO/Ferrovial might be interested in a £4-billion, ten-year Home Office asylum housing and transport contract. Campaigners will continue monitoring the tendering process and to try to ensure that asylum tenants are offered accommodation in future contracts of a ‘decent homes’ standard. This was the standard the Home Office included in the COMPASS contracts – but never enforced.